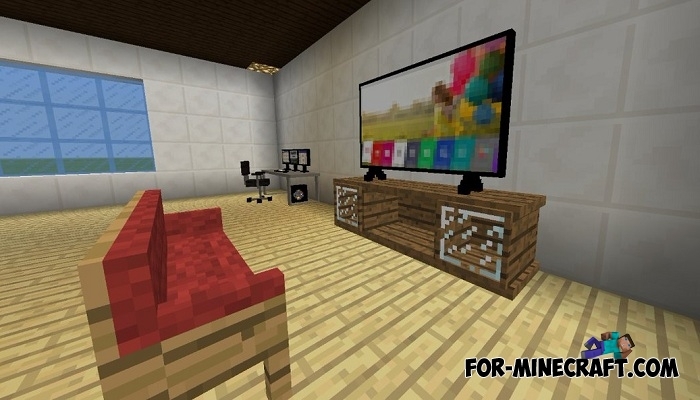 More than 20 addons are on our website that add furniture to Minecraft Bedrock. At the moment, Household Items addon is the newest and hence zero compatibility problems. In the initial version there are only 5 items shown in the screenshots. 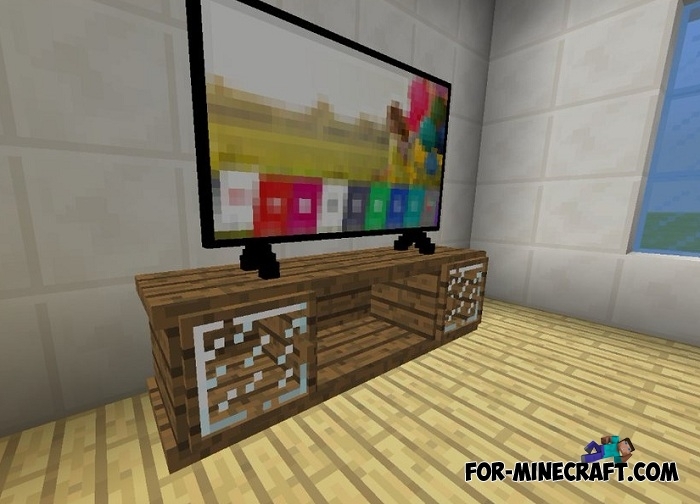 If in other furniture addons new items replace dyes then in this furniture requires only the head of the mobs. This feature has one big plus but there is also a minus: first, the addon allows you to rotate objects 360 degrees so put them on tables and change the position to either side. 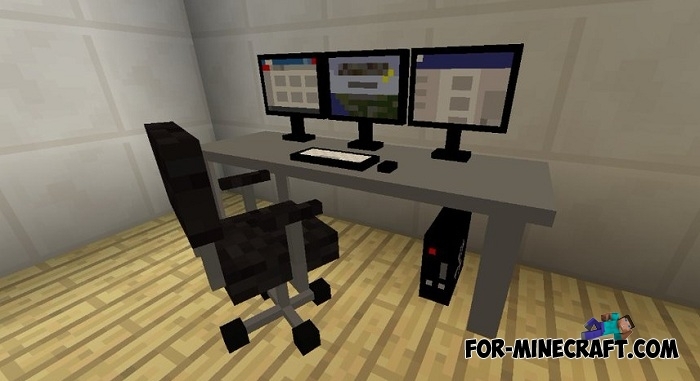 Secondly, these items can not be used as you do in real life. These are purely decorative objects decorating the general appearance of residential and non-residential rooms. How to install the Household Items addon?